As support personnel, pharmacy technicians conduct various tasks in the pharmacy under the supervision of a licensed pharmacist. They are capable of executing a number of duties that do not require the professional judgment of the pharmacist and operate within strict accordance of state guidelines, standards, and procedures. 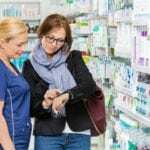 Common duties include packaging and labeling medications, maintaining inventories or drug supplies, updating patient records, mixing drugs with parenteral fluids, and filling and dispensing orders. Using their training in the technical and administrative aspects of a pharmacy, technicians execute their role competently giving pharmacists the freedom to counsel patients and collaborate with other health care professionals. Graduates of a pharmacy technician program can take a national exam for certification, which will increase their job outlook in New Mexico and other states. The salary for pharmacy technicians in New Mexico depends on location and ranges from $8.75 to $14.50 an hour. The pharmacy technician program at Central New Mexico Community College is a limited seating program. Therefore, prospective students must participate in the screening process before registering for the classes within the program. As part of he pre-screening process, an applicant must complete Essay Writing, Reading and Critical Thinking, or College Writing and Algebraic Problem Solving. Once enrolled, students will receive the preparation needed to begin a career as a pharmacy technician in a hospital, retail, or mail-order pharmacy. Faculty use classroom lectures, hands-on practice in the laboratory, and pharmacy technician experiences in a licensed facility to cover all aspects of the profession. The laboratory training includes the preparation of sterile intravenous products – covered in a 45-hour block. The module and experiential practice at the clinical site will satisfy New Mexico’s statute 61-11-11.1, which is necessary for pharmacy technicians who plan to compound sterile preparations. The program is accredited by the American Society of Health-System Pharmacists (ASHP). Tuition for the 8-month program is $404 plus $720 for books and supplies. The pharmacy technician curriculum at PIMA Medical Institute includes math, chemistry, and medicine to prepare students to accept electronic prescriptions, mix intravenous fluids, calculate dosages, label containers, and supply patients with health products. 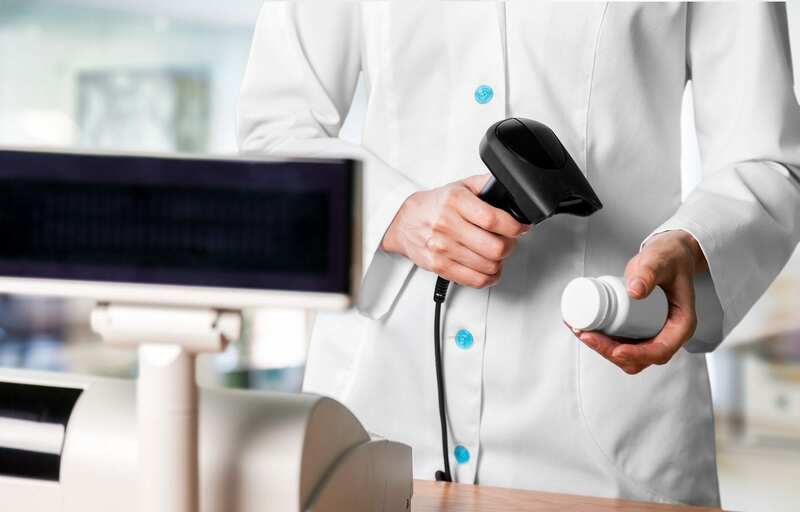 They’ll also be able to stock inventory, verify the accuracy of a prescription, manage order entry, and receive written prescription requests. A special module on IV Therapy will be covered in the training to prepare students for work in a hospital pharmacy site. Course topics include anatomy, physiology, and terminology, pharmacy math, pharmacy law and ethics, pharmacology, pharmacy technician duties, the principles of customer service, pharmacy computer analytics and much more. Graduates of the nationally accredited program are eligible to sit the PTCB’s exam for CPhT certification. Tuition for the program is $12,975. Books and supplies will cost an additional $960. Brookline College prepares pharmacy technician students for an entry-level pharmacy technician position in a hospital or retail setting other health care environment. Included in the program is a pharmacy technician externship which gives students the opportunity to work first-hand with patients, pharmacy technicians, and other healthcare professionals. The 28-credit program includes instruction in health care fundamentals, pharmacology, pharmacy operations, concepts in health care, administrative aspects of pharmacy technology, pharmacodynamics, pharmacokinetics, and introduction to health care. Upon successful completion of 720 hours of classroom lectures, practical skills training in the school’s lab, and pharmacy technician practicum at a community pharmacy, graduates will be prepared for success on the PTCE for national certification. The program is available as in day and evening formats. The daytime schedule covers a 32-week training period while the evening class meets for 39 weeks. Tuition costs $15,225 plus expenses and fees. The pharmacy technician program at Carrington College includes theory and practical training to enable graduates to function as entry-level assists to a licensed pharmacist. Apart from formal training in the classroom, students must complete a real-world pharmacy technician externship at an approved local facility. The certificate program requires students to complete general education coursework such as mathematics, science, English composition, computer literacy, and social sciences. Technical coursework includes pharmacy calculations, chemical and physical characteristics of drugs and preparation of sterile dosage forms, medical abbreviations, symbols used in prescribing, and standards of ethics and law. Tuition for the 42-week program is $14,000. Books and supplies cost an additional $840. 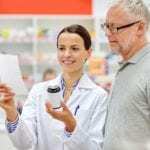 The pharmacy technician with medical administration certificate program at the University of New Mexico prepares students to enter the field of pharmacy and take the PTCB exam for national certification. The curriculum includes theory and practical instruction and covers pharmacy terminology, reading and interpreting prescriptions, identifying generic and brand name drugs, and pharmacy calculations. The program includes a module in Medical Administration, which covers medical law and ethics, telephone techniques, medical records management, basics of insurance billing and coding, and scheduling appointments. Medical administration prepares graduates to function effectively in an administrative and clerical position in the health care industry. Before participating in the clinical externship, students must complete the theoretical training and pass all the quizzes and the final exam. A background check and drug screen may be required based on the clinical site. Applicants must have a high school diploma or GED. Graduates of the 6-month program are eligible to sit the PTCB, CMAA, and MOS exams for certifications. Tuition for 780 hours of instruction is $3,950.